Procare Pharmacy is dedicated to serve Orlando and its surrounding communities. Many patients and families have become friends and loyal customers. We continue to pride ourselves in providing the best in pharmacy care. The level of professional service and personal attention demonstrates how dedicated we are to our customers’ health. We strive to be the first choice in healthcare pharmaceuticals for patients, providers, payers and manufacturers. 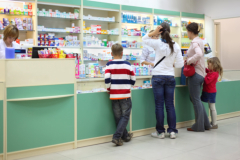 We take pride in knowing that our pharmacy provides quality products at a affordable price. We specializes in serving our community with fast, friendly, professional service and the highest-quality medicines and health products. You’ll always work with somebody at our pharmacy who greets you by name, and our pharmacists take the time to counsel you and answer your questions. We are motivated and determined to be an invaluable resource in your prescription woes. Call us at (407) 730-2770.